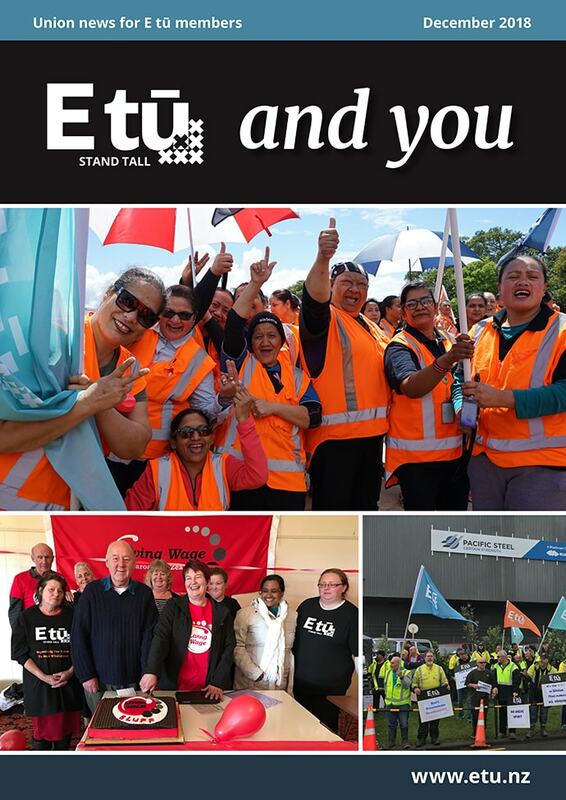 Welcome to the final edition of our union magazine for 2018. The articles reflect the diverse challenges and achievements of our members across our union. It’s a privilege to welcome the many new members who joined our union in 2018, including our very recent new members at Hobbiton outside of Matamata. We are working alongside our Hobbiton members to develop a strong democratic union organisation at work. My thanks to Christaan Burgess, our E tū delegate from Waitomo Caves, who came along to help out at the Hobbiton meetings. Hobbiton and Waitomo Caves are union workplaces with E tū members – why not take your family or friends for a visit these holidays? It hasn’t been an easy year for many. 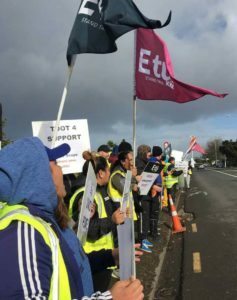 I want to acknowledge those of our E tū members at Hutumaki in Auckland who have been facing redundancies. Thankfully they are covered by a good union redundancy agreement. We have worked hard to negotiate good wages and conditions this year. It was an honour to join our Pacific Steel members on the picket line as they took action for a fair deal at work. I also joined with our tenacious Air Nelson flight attendant delegates to achieve a good settlement after 17 months of bargaining! By the time you read this, our Government will have passed a range of employment-related policies that will even up the imbalance of power held by employers and give us a proper chance of getting a better deal at work. Business leaders and their politicians say these improvements are bad for business. The fact is that they don’t like unions because we make a big difference for working people, achieving what researchers call the ‘union pay premium’. 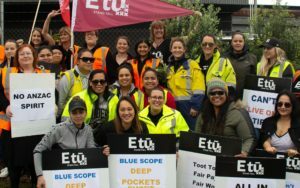 Independent research by the Centre for Labour, Employment and Work (CLEW) at Victoria University in Wellington has proved that being a union member pays off. Their independent survey of union collective agreements shows that wages in union agreements increased by an average 2.2% over the past year. Union collective agreements in the private sector did even better increasing on average by 2.9%. Compare that to the 1.9% average increase across all New Zealand wage and salary earners in the same period as measured by the Labour Cost Index. While just 1% of working people covered by union collective agreements got no wage increase, the figure is 46% when measured across all New Zealand workers. It’s simple really, there is strength in numbers and standing together in union means a better chance of a better deal. I would also like to acknowledge the Pike River families, as they have finally have confirmation of a manned re-entry into the drift. This has been a hard battle for a very long time, but the Coalition Government have pulled out the stops for them. I particularly acknowledge Andrew Little, the minister responsible (and my old boss), for being on the side of the families all the way. E tū is a union that always looks to the future. We are working with government, community and employer groups to identify the skills needed for the jobs of the future and we are involved in developing strategies like the Just Transition, to ensure a better chance of alternative employment security for working people as we face an uncertain future. 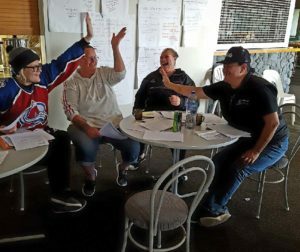 Within our union we are reviewing our structure to see how we can better allocate our resources to provide good service to our members while also aligning resources to grow our membership, power and influence. I expect to report on that to our Delegate Forums and membership meetings in 2019. 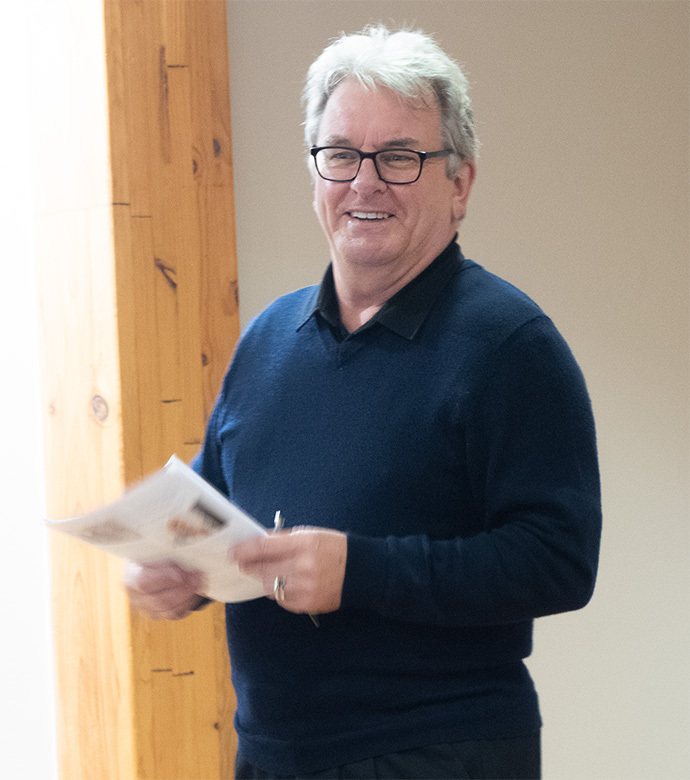 Thank you for being an E tū member and, on behalf of our Presidents and National Executive, I wish all E tū members a great summer break.